Fresh air is good for everyone! With these fun games, you and the kids can enjoy each other’s company and the outdoors. Play Lawn Twister by spray-painting different colour dots onto your grass. This way you won’t have a mat that keeps sliding. You can get the spray paint at a DIY Depot near you! Create Giant Jenga with planks of wood from DIY Depot. Play some Bean Bag Ladder Toss. Give each step a point system and try tossing beanbags onto each step, whoever gets the highest wins! All you’ll need is a ladder paper and beanbags! 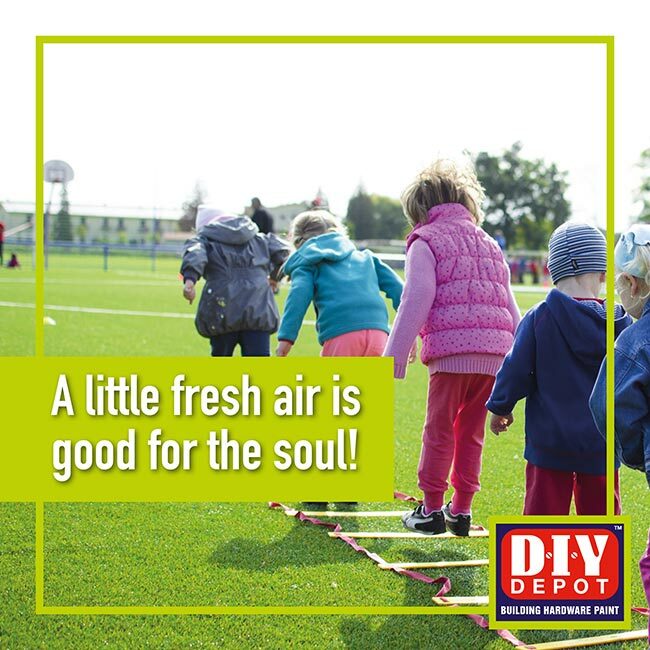 Enjoy some quality, outdoor family time with the help of DIY Depot.